It’s the time of year when we get very excited at Spencers Car Sales. The annual Norfolk and Norwich Festival is just a few weeks away and, once again, it promises to be an outstanding celebration of the arts. 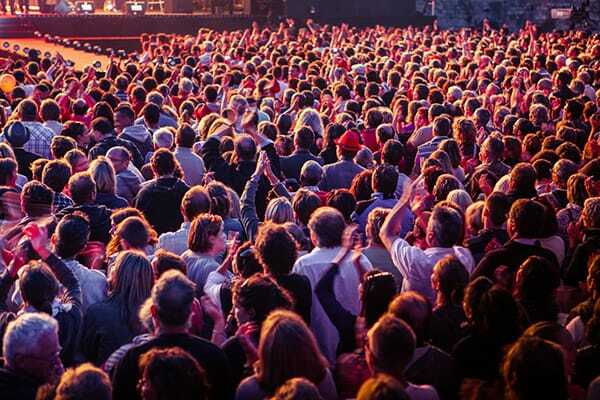 Taking place from Friday 8th to Sunday 24th May, the 2015 programme is sure to cement the festival’s reputation as the flagship arts event in the east of England. Audiences will be entertained by some truly innovative and inspirational performances, including a new show from Circa, one of the world’s greatest circus ensembles. Those who enjoy participatory theatre should book now to see Wolf’s Child, a new creation from WildWorks, while music-lovers won’t want to miss either the Bournemouth Symphony Orchestra or Taraf de Haidouks, the famous gypsy group from Romania. One of the great things about the festival is the diversity it offers – there really is something for everyone! The whole family can enjoy free outdoor events at the Garden Party, and musical performances range from international, classical and choral to jazz, Celtic and folk. The visual arts and film are celebrated, along with tea dances, comedy shows, literature events, lectures, the Adnams Spiegeltent – there is simply so much to experience. The Norfolk & Norwich Festival is one of the UK’s oldest surviving arts festivals, tracing its origins back to 1772 and the founding of the Norfolk & Norwich Hospital, for which a fund-raising concert was held in Norwich Cathedral. Today, it’s a heady mix of entertainment, and Spencers Car Sales is proud to be part of a community that celebrates the arts in such a great way each year. Tickets for all shows are now on sale – a full programme and all details can be found at the website. Alternatively, email or call the box office on 01603 766400.